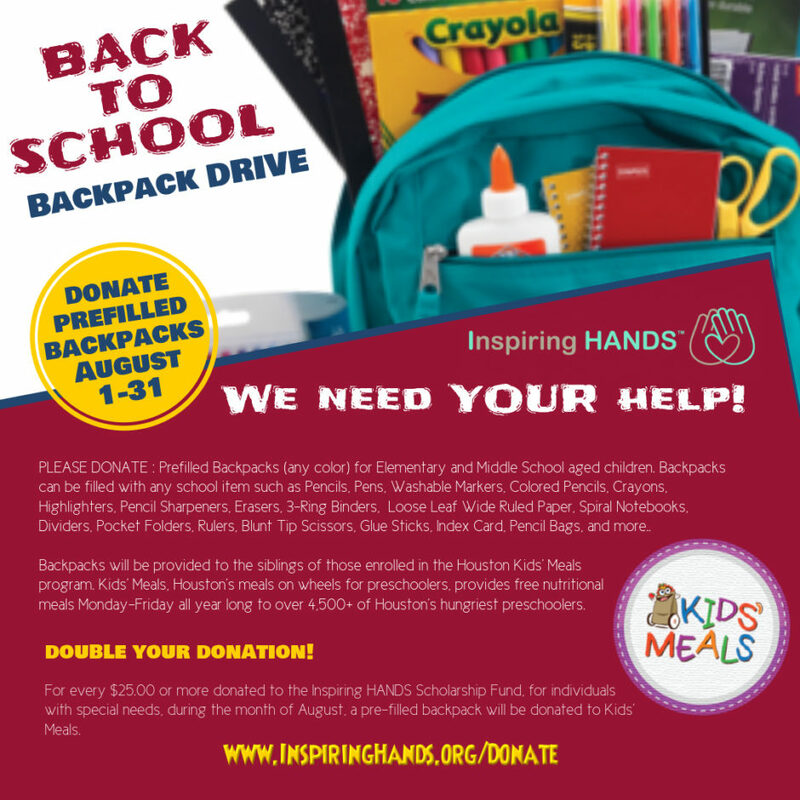 Home / News / Join the IH Backpacks for School Drive benefiting Kids’ Meals Houston! Please join us in the IH annual back to school drive as we collect donated pre-filled backpacks for Houston ISD elementary and middle school students. 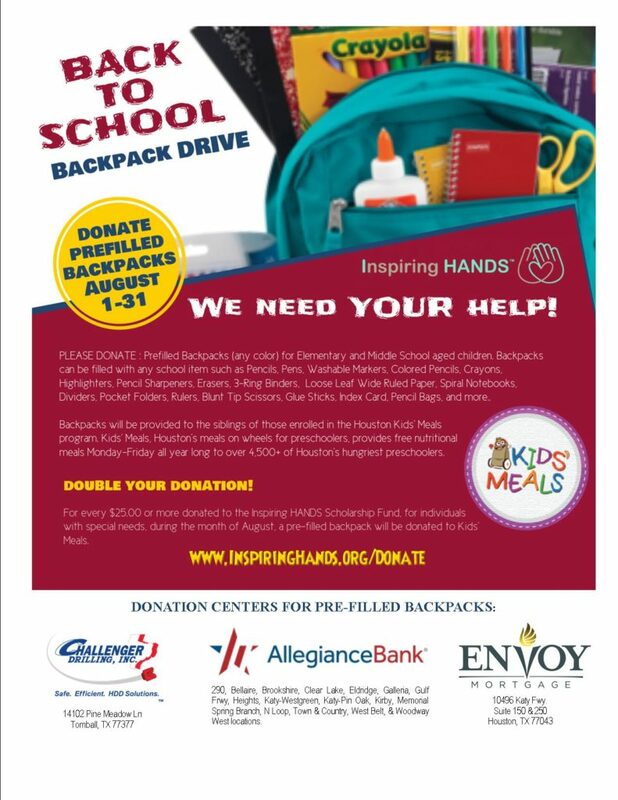 You may drop off a pre-filled backpack at any of the listed donation centers with Allegiance Bank, Challenger Drilling, or Envoy Mortgage. You can also double your donation! Simply make a monetary donation of $25 or more to the IH Scholarship Fund during the month of August and then we will donate a pre-filled backpack to Kids’ Meals.